The RAAF handed command of 35SQN temporarily over to the C-27J Transition Team on January 21 as the first of 10 RAAF aircraft prepares to fly to the US for its systems fit out. 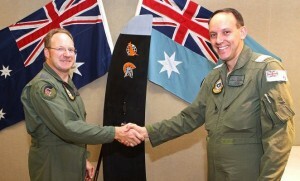 Led by GPCAPT Steve Young, the TT was formed out of the Battlefield Airlifter Transition Office, and will be responsible for oversight of the aircraft’s introduction to RAAF service. The first C-27J Spartan for 35SQN flew in December at Alenia’s Turin facility and is due to ferry to Waco in Texas for systems installation by L3 in February. Command of 35SQN will return to the RAAF’s 84 Wing as C-27J Initial Operating Capability nears.